One of the best parts about the craft beer world is getting to visit so many different and amazing towns when checking out new breweries. Often, we choose a direction or a region to visit, and try to hit as many breweries and see as many of the local attractions as we can in one day. We created a few routes below for you to try, but remember to explore the area on your own as well, as new places are popping up every week. To clarify, we are in no way paid or endorsed to feature and distribute the beers or breweries that we choose, any beer we feature is only because we think it's great and worth sharing. We'll be honest, this is our favorite trip to take (as you can probably tell from looking at our featured breweries). Feel free to visit in any order and add as many stops along the way as possible! Let's set the scene: Saturday. Summer. Sunny. It's about 11:30am and you just had your favorite breakfast. You're with your best friend(s) and miraculously, there's no traffic heading west on the 401. Your first stop is an unassuming one to say the least. The fabled Barncat, the Ontario haze bomb kings. Making delicious IPAs that you can only bring home in a growler and have to drink quickly in order to photograph, post to Instagram, and make your friends jealous. As infuriating as no cans/bottles of their IPAs may seem, it's done for a good reason. These beers are so small batch and so full of hops that it just wouldn't make sense to can. Plus, the beer that they do bottle is amazing and bottle conditioned to easily last a year. So take home a growler or 3 and grab a couple bottles for the cellar. It's important to note that Barncat is only open 9 hours a week (Friday 3-8pm / Saturday 12-4pm). To summarize; industrial area in Cambridge, only open 9 hours a week, only growler fills for their new beer. Yeah, that's how good this beer is. Next stop on the trip, to the Mennonite town of St. Jacobs, in their downtown core. The famous St. Jacobs farmers market is also until 3:30pm and is worth the visit if you could make it in before close. Now we head north for our final stop, below we'll include some more notable breweries in the area that you could squeeze in between stops. This beautiful little town is home to the well-known Elora Gorge and Quarry conservation areas, but is also home to some of Ontario's best beer. 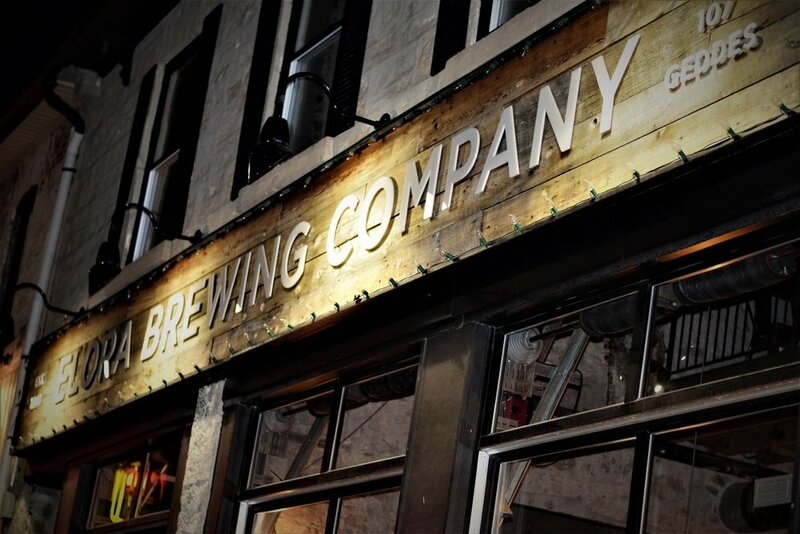 Located at 107 Geddes St in the middle of their village core, the brewery is a big beautiful stone building which often hosts private events and weddings. Their tap list is always rotating but their core beers are "Three Fields" lager, "Lady Friend" English IPA, and of course "Elora Borealis" Pale Ale. It seems like the only problem with their beer selection is that they can't hold on to it! Now, back to the beer. Yes, their small batch rotating taps are always great tasting and season appropriate. But their core beers are nearly perfect for their respective styles. Especially their Lager and Pale Ale... We don't know if they can really taste any better. I'd put the "Borealis" right beside Bellwoods' "Jutsu" and maybe even call it better. When fresh, it's just as hazy and juicy, but without any lactose. This about an 3 hour round trip from Toronto but depending on how many other places you visit and how long you stay at each place, you can easily spend the whole day on this trip.